The new location inside the main hospital building includes a new 3T MRI machine, new CT scanner, Fluoroscopy unit and X-ray machine. 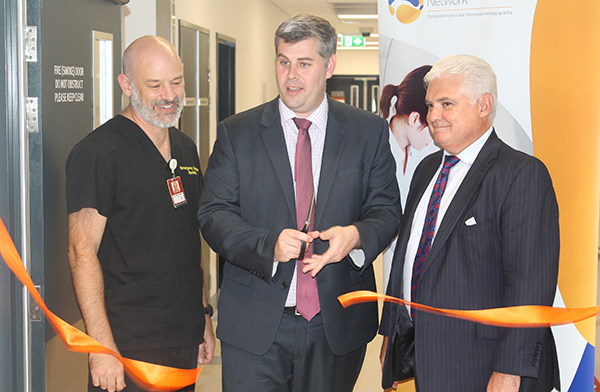 State Member for Morayfield Mark Ryan said the new imaging department was a welcome boost for Caboolture Hospital patients, staff and the community. “Having a state-of-the-art MRI machine and other new medical imaging equipment on-site means patients have easier access to quality imaging and able to start treatment sooner,” Mr Ryan said. Caboolture Hospital Acting Executive Director Dr Simon Budgen said relocating medical imaging had created room to expand the hospital’s Emergency Department, which would soon feature more appropriate places for the management of children, mental health and elderly patients. “We continue planning for long-term growth with a significant expansion to add 130 beds, including a new purpose-built ED by late 2022, which will ensure the hospital continues to grow with the community,” Mr Bugden said. At Caboolture Hospital, imaging services for inpatients, emergency and outpatients are provided in partnership with private sector provider, I-MED Radiology Network. I-MED Director of Radiology Dr Christine Campbell said the new facility has been operating within Caboolture Hospital since mid-December. “Quality medical imaging services are integral for good patient care,” Dr Campbell said. “I-MED’s Caboolture Hospital imaging department offered services including general x-ray, CT scanning, ultrasound, MRI and nuclear medicine, as well as a range of interventional procedures performed and reported daily by on-site radiologists. The I-MED Radiology Caboolture Hospital clinic is open Monday to Friday 8am to 5pm. Phone 5431 8444.